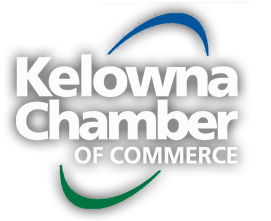 KELOWNA, BC – The Kelowna Chamber of Commerce would like to announce the call for nominations officially begins today for the 2013 Business Excellence Awards, nominations close July 12th. In addition to last years’ award categories, the Chamber has added three (3) new awards to the slate for this years’ awards banquet to increase the total number of awards to ten (10). Thanks to the feedback from our members and nominators from last year the Chamber has revised the nomination form to make streamline the process by shortening the form from 10 pages to 4. The Business Excellence Awards program celebrates achievement in our business community with finalists in each category selected from a wide group of nominations. The panel of judges visits all of the finalists and will judge them on the growth and development of their business, customer service, employee relations and community service. Nominated businesses must have been operating for longer than three years (with the exception of the Rising Star Award) and have a letter from their accountant confirming that they are financially sound. o The Business – Environmental and sustainable management is linked to the organization’s strategy in terms of its goals, processes and business model. o Environmental Practices - The business practices involve innovative approaches and techniques which are cutting edge in environmental sustainability. o Measurable Results (Avoiding Green Washing) - The organization has established methods of proving and measuring their impact on benefiting the environment. o Competitive Advantage – Using innovative green initiatives has provided the company with a competitive advantage in their industry. o Strategy – Was it demonstrated that the organization had an understanding of their customer and market, and executed a marketing strategy that was effective in reaching their segment. Content quality, positioning, and differentiation are key here. o Effectiveness – Did the marketing strategy have a measurable impact on profits and sales? What metrics or scorecard methods were used to capture quantifiable results? o The winner of this category has consistently delivered a top quality product/service that has enhanced tourism/hospitality for the Central Okanagan. They are engaged in active promotion of the Central Okanagan and demonstrate an effective marketing program. The Business Excellence Awards Banquet will be held during 2013 Small Business Week. Tickets will go on sale in September.